Already RRP Certified? View the 4-hour refresher course schedule to renew your certification. Since the full 8-hour training course cannot be completed fully online, our training network offers in-person classes across the US for your convenience. View our locations and schedule below, and register today for a lead-safe certification course. This course is also available in Spanish - click here to view the Spanish training schedule! A good class! Very helpful! A good class! Very helpful! Excellent presentation and well explained course. The instructor's method of training made it easy to understand. Excellent presentation and well explained course. The instructor's method of training made it easy to understand. Excellent class with a very intelligent, personable instructor with a deep morality. Excellent class with a very intelligent, personable instructor with a deep morality. Very good experience. Very good experience. Excellent course! The instructor was knowledgeable and kept the class engaged. Excellent course! The instructor was knowledgeable and kept the class engaged. Great instructor. Good knowledge of industry and worked to make sure that each individual understood the material. Great instructor. Good knowledge of industry and worked to make sure that each individual understood the material. Great class; loved that we did hands-on activities since I'm a hands-on learner. Instructor was great. Great class; loved that we did hands-on activities since I'm a hands-on learner. Instructor was great. Great training! I am confident in my ability to address and comply when encountering a lead based paint scenario! Great training! 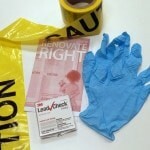 I am confident in my ability to address and comply when encountering a lead based paint scenario! Instructor was good and thorough but a little tough to understand at times. Material was presented in easy to digest chunks... Instructor was good and thorough but a little tough to understand at times. Material was presented in easy to digest chunks and the key points of each section were highlighted multiple times. The class was very interesting and was taught by a successful local contractor that understood our industry, provided great... The class was very interesting and was taught by a successful local contractor that understood our industry, provided great insights and resources. Very good instructor; better presentation than expected. Very good instructor; better presentation than expected. Outstanding instructor and very knowledgeable about what needed to be taught. Outstanding instructor and very knowledgeable about what needed to be taught. The instructor was great. Very informative. The instructor was great. Very informative. Very good course. We covered a TON of material in the 8 hours we were there, but I left feeling very prepared to do my job.... Very good course. We covered a TON of material in the 8 hours we were there, but I left feeling very prepared to do my job. The material was concise, informative and organized. The trainer was very helpful. I would recommend this class to anyone wanting to get their certificate! I would recommend Zack Academy for any of their training courses. The instructor did a great job teaching the class. The instructor did a great job teaching the class. I will be honest, I thought the course was going to be very boring. How can you make lead paint interesting but I was pleasantly... I will be honest, I thought the course was going to be very boring. How can you make lead paint interesting but I was pleasantly surprised. He kept us involved for the the full session. The instructor was very good and engaging. The instructor did a good job. The instructor did a good job. This class was exceptional. Our instructor was very knowledgeable and easy to learn from. The material given out was excellent.... This class was exceptional. Our instructor was very knowledgeable and easy to learn from. The material given out was excellent. I will get great use out of the training and the material. Great class! Very informative! Great class! Very informative! Very informative class. I am glad that I signed up! Very informative class. I am glad that I signed up! The trainer did a great job and was very clear. The trainer did a great job and was very clear. Great instructor. Well put together course. He went over everything thoroughly and made the the exam a breeze. Great instructor. Well put together course. He went over everything thoroughly and made the the exam a breeze. I will definitely take more classes with this trainer. Very instructional. I will definitely take more classes with this trainer. Very instructional. Best teacher ever! Best teacher ever! The instructor was so helpful. I learned a lot. The instructor was so helpful. I learned a lot. I felt the course covered all the pertinent topics. The instructor moved along in a timely fashion, but left plenty of... I felt the course covered all the pertinent topics. The instructor moved along in a timely fashion, but left plenty of time for questions. It was also that her background in construction was very helpful to her and to us as a class. The hands-on portion of the class also was very helpful. This was my second time taking the class (my first certificate expired) and I am actually glad to have had the entire review. I see some things have changed since I took the course six years ago and was appreciative to have learned new material. I would give her an A plus for her teaching. - That comment comes from a retired school principal. The instructor is very professional, amazing teacher. The instructor is very professional, amazing teacher. Long but good class. I did learn a lot. Long but good class. I did learn a lot. Took the time to answer all the questions that I needed to ask. Had control of the class, especially at the times when the... Took the time to answer all the questions that I needed to ask. Had control of the class, especially at the times when the attendants seem to stray. Very informative and a great presenter. The instructor was knowledgeable in each subject and helpful when answering questions. It was a long day, however, he was... The instructor was knowledgeable in each subject and helpful when answering questions. It was a long day, however, he was well-informed and as an expert offered valuable advise and suggestions. We did learn! Great instructor and seemed knowledgeable to me. He was great at taking questions and getting to them. Great instructor and seemed knowledgeable to me. He was great at taking questions and getting to them. The trainer was really good about me raising my hand and asking a lot of questions. He seemed to have honest answers and... The trainer was really good about me raising my hand and asking a lot of questions. He seemed to have honest answers and was not just throwing answers out. He had good reasons behind them and could support what was needed. Very well done! Very well done! The instructor was thorough and kept the content interesting. The instructor was thorough and kept the content interesting. Outstanding instructor; full of knowledge. Made the class fun and took out the boredom which typically is included in an... Outstanding instructor; full of knowledge. Made the class fun and took out the boredom which typically is included in an 8 hr course. I felt the class was very informative. The trainer did an outstanding job presenting the material in such a way that it was... I felt the class was very informative. The trainer did an outstanding job presenting the material in such a way that it was able to be comprehended. When I finished the class, I felt like I was very knowledgeable and would be able to work safely in the future. The class was excellent. I would recommend it to anyone. Our instructor was well prepared, well spoken and very informative. The class was excellent. I would recommend it to anyone. Our instructor was well prepared, well spoken and very informative. This class was actually a lot better than I expected it to be. The instructor was great. The facility is very nice and easy... This class was actually a lot better than I expected it to be. The instructor was great. The facility is very nice and easy to get to from anywhere. I had signed up with a different company that cancelled my class 3 times over two months, but they got me into the class the first time. Very good course. The instructor made the class go by quickly and had answers to all of our questions. The videos that he... Very good course. The instructor made the class go by quickly and had answers to all of our questions. The videos that he played helped the time go by fast and gave us a visual that helped us understand the material. The instructor was very accommodating for our individual needs and made sure we were confident and competent before we left... The instructor was very accommodating for our individual needs and made sure we were confident and competent before we left with our certificates. I thought it was very informative and helpful. I’m definitely grateful that I took the time and spent the money on this class. I thought it was very informative and helpful. I’m definitely grateful that I took the time and spent the money on this class. Great class and instructor! Great class and instructor! The instructor was great. Very informative and knowledgeable. I would recommend her to anyone. The instructor was great. Very informative and knowledgeable. I would recommend her to anyone.